Turning the big 2-5 is a big deal, so it should come as no surprise that I tried to make this birthday unforgettable. Given I am a travel-hungry person I decided I should celebrate my 25th birthday somewhere new. We booked a trip to Sicily, more precisely Trapani, literally a week before my birthday to celebrate the start of a new chapter with a fun adventure. What is so special about Trapani? A 40 minute flight from Malta, Trapani makes the perfect weekend holiday. Sicily is a fantastic island, I never get tired of visiting. Its architecture and traditional cuisine bear the indelible imprint of its ruling invaders, such as the Greeks, Arabs, Byzantines, Vandals, and the Normans. Quite a colourful history right? Trapani, a sickle-shaped port city, is located on the west side of the island. In the past Trapani’s main industries were coral, tuna fishing, salt as well as wine production. In the present days, Trapani’s port is busy with ferry traffic to the Egadi islands and Pantelleria. We arrived late afternoon, and the first thing we did after checking in our lovely apartment, was to go for a long stroll along the harbour. It was super nice but we were starving. 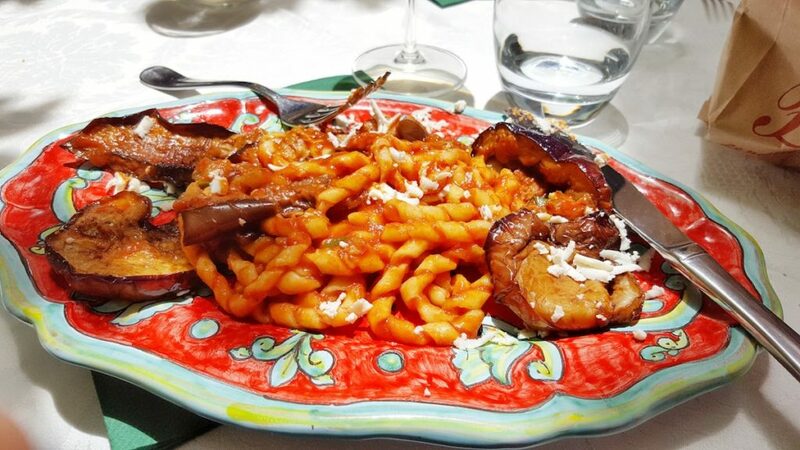 Finding a good restaurant in Trapani is not a problem. There are plenty of good restaurant serving genuine Italian food. We stumbled across Osteria I Vitelloni and decided to give it a try. We thought the restaurant looked quite beautiful and had good reviews and we went in. It was extremely busy but we were lucky enough to get the last table. It is heaven for sea food lovers. All pasta dishes looked mouthwatering however, we opted for the risotto, one of our favourite Italian dishes. My only regret is that the portion was quite big and I coudn’t finish it. The staff were polite and cheerful and the atmosphere was super cosy. After dinner we went for a walk and then headed back to the apartment. We were exhausted and called it a day. The next morning we headed off to the charming historical town of Erice. 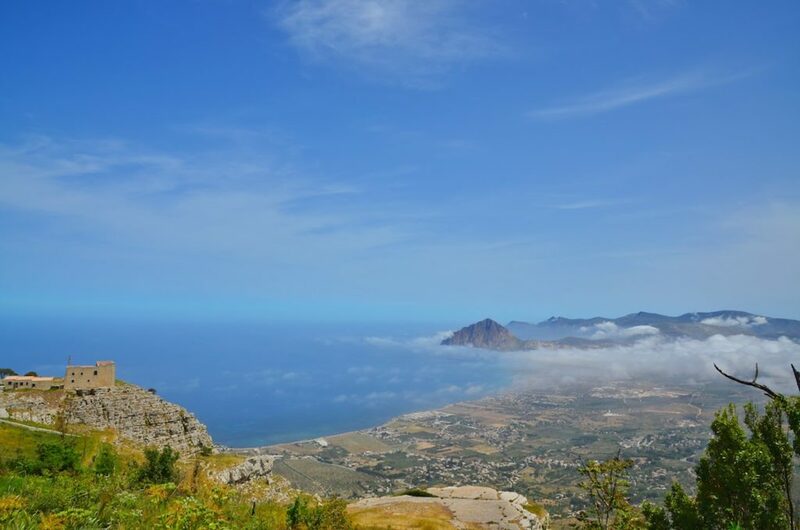 If you go to Trapani you should make it a point to go to Erice. It is simply amazing! 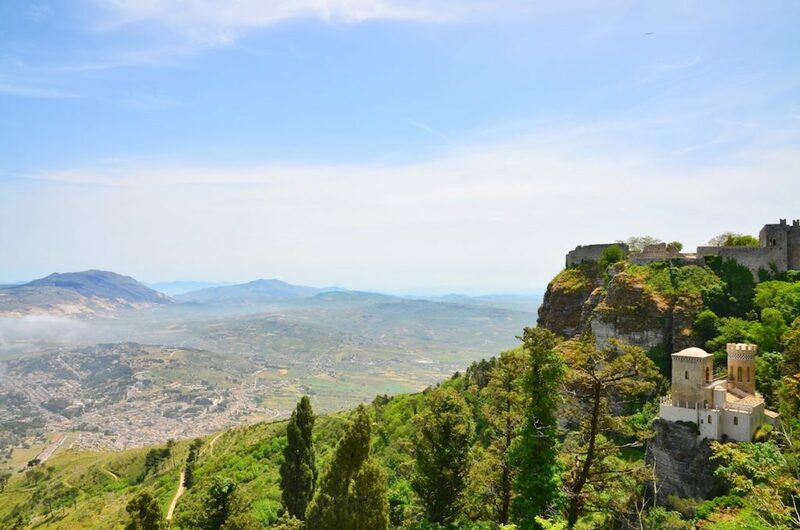 It is surrounded by defensive town walls, crowned by a castle, and dominates the surrounding area from its mountainous height of approximately 800 metres above sea level. 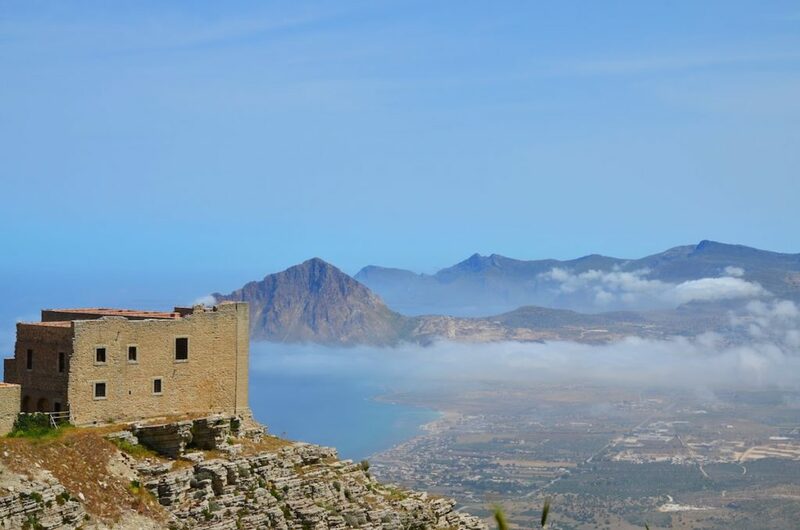 Erice is in such a unique, naturally fortified position high above the natural harbour of Trapani, that it is not surprising that the site has been occupied for years. After a long day of unspoiled sightseeing we started looking for somewhere to eat. While walking to the main square we came across a romantic restaurant: Gli Archi di San Carlo. This was by far one of the best restaurants during our short stay in Trapani. We stayed in the pretty courtyard since it was a warm day. 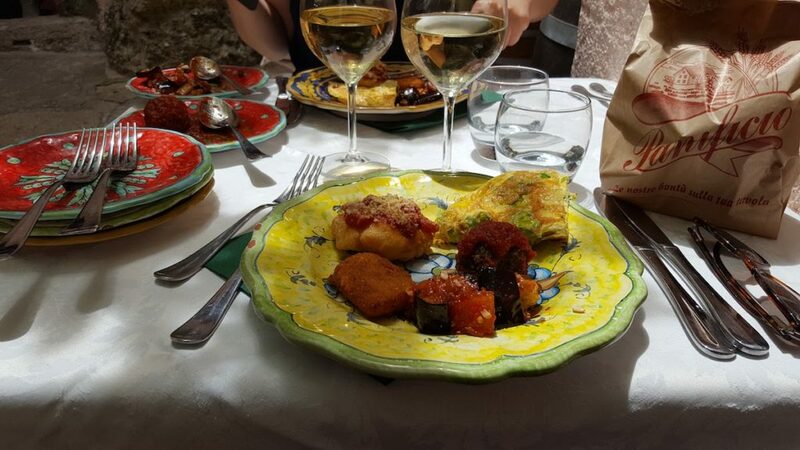 Everything was tempting so we decided to order a number of traditional antipasti, followed by Busiate Norma. And of course we paired it with some great local wine. All dishes were mouthwatering prepared using seasonal products. 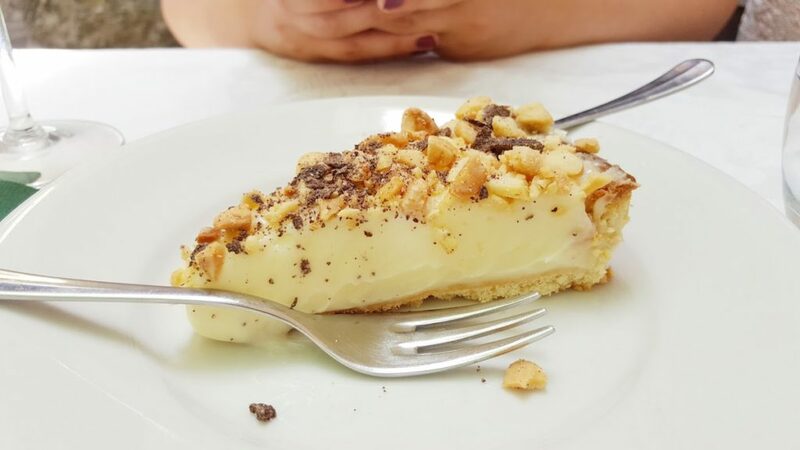 As for dessert we ordered a freshly made cream vanilla tart. So satisfying, didn’t want it to finish. 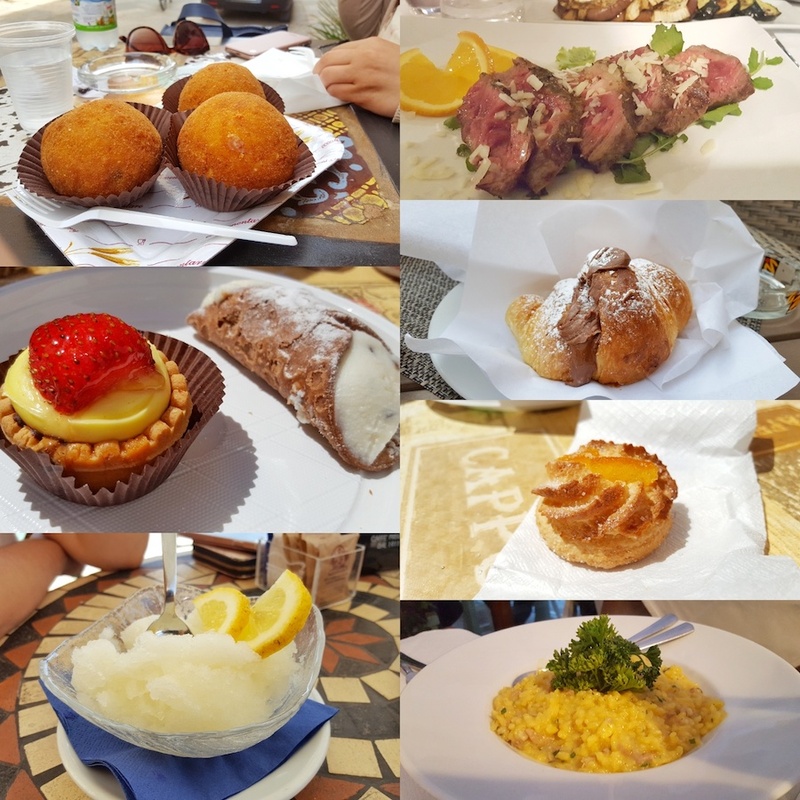 After that stupendous meal we walked back to the cable car and took the bus to Trapani. The next day, we decided to go to the picturesque town of San Vito lo Capo. It is a very small town best known for its beach. San Vito lo Capo is around one hour away from Trapani and is an attractive holiday destination with plenty of hotels and restaurants. Since it is directly situated on the sea, most accommodations are walking distance from the beach. The surroundings are mesmerising and the mountains are impressive. What makes this beach stands out from the rest are the gorgeous beaches and crystal clear waters. I have one word for this island: marvellous. It is one of the largest and most important of the Egadi Islands. 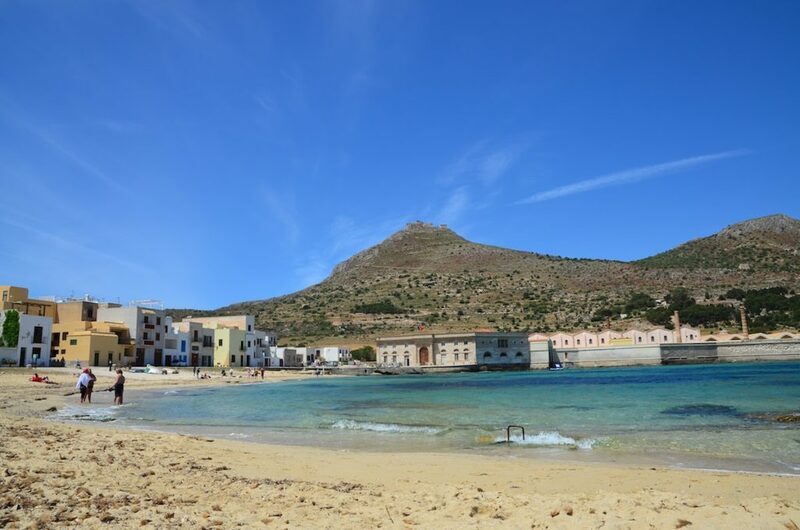 Situated approximately 7 kilometers of the cost of Sicily, between Trapani and Marsala, this charming island has frequent ferry connections with all the other islands and Trapani. Despite the easy access, the natural beauty of this island has been preserved. Although there are some tourist amenities the island is not very popular among tourists. What I loved about Favignana is that it is still very authentic and it is not crowded by tourists. The butterfly shaped island has a traditional feel to it, you can still find old people sitting outside cafes and children on their bicycles. In fact the town centre is pedestrianised. There are plenty of things to see and do in Favignana but I don’t recommend more than one day. After a day in Favignana we were quite tired but we had one last thing to do: try the best pizza in Trapani! If you happen to be in Trapani and you are craving an authentic Sicilian pizza then you should def look for Calvino Pizzeria. Just to give you a heads up, it is not the most modern pizzeria on the island but it is an excellent pizzeria. The restaurant looks small from outside but we were surprised by how big it was. The restaurant is made up of a number of small rooms. This was my first experience of being served a pizza on a metal dish for a plate and only a fork as the pizza is served cut in small pieces. Pizzas come in 3 sizes – small, medium and double. Being very hungry we both opted for medium pizzas but as soon as we saw the size of the pizza we knew we were never going to finish it. The medium pizza is huge! Calvino served us the most tasty pizza I ever ate.